Argentière is a village within the Chamonix Resort situated in the idyllic French Alps. This stunning location was the site of the first Winter Olympics in 1924 given the variations of its slopes nestled amidst picturesque views. What makes this place unique is that it lies on the incredibly scenic route of Mont Blanc Express railway and is connected by road, with Switzerland by the pass over the Col Des Montets. With the awe-inspiring views of the Argentière Glacier, it is no surprise that the village attracts alpine enthusiasts all year round. Its centralised location is perfect for those seeking exceptional snow sport experiences in the winter, whilst the summer periods attract visitors from all around the world for rock and ice climbing and alpine walks. 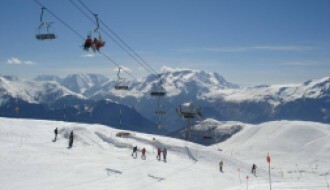 The ski resort spans across three mountainsides; Argentière, Lognan and La Pendant, providing both prepared and freeriding terrain to cater for all sport competencies. The sheer range of experiences offered at this breath-taking location and its uniquely long slopes have made it widely esteemed throughout the world by skiers and snowboarders. There is no greater time to consider buying property in Argentière. Old, wooden chalets and beautifully renovated apartments sell for anything from €410,000 to €3,559,000. The variety of spacious accommodations situated in the heart of the French Alps landscapes make Argentière the perfect location to buy property. There are also a plethora of opportunities for internal investment. Check out our property investment guide to Argentière for more information. Winter season in this French paradise runs from December to April each year, where skiers and snowboarders will flock from all corners of the globe to embrace its adventurous slopes and stunning eateries. There is a vast array of bars and restaurants to choose from offering delicious dining at reasonable prices. 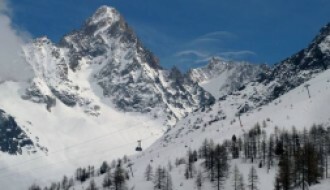 Residents have access to the internationally popular Grands Montets which stands at 3,275 metres, surrounded by the snowy mountains and glistening, blue skies. Once the snow has dissipated, Argentière offers tours of Mont Blanc, the highest peak in the French Alps. The tours are independently tailored to you and your party, providing the option to choose from a range of trips and excursions. This world-class adventure destination is not only famous for its skiing and climbing, but its unique views make it the perfect place for paragliding tandem flights too. You can take to the skies from 3,900 feet; what better way to fully immerse yourself in this alpine paradise? If you need a break from the outdoor excitement, there are tonnes of indoor activities for both adults and children. As well as indoor sports centres and a range of relaxing saunas and spas, the location is renowned for its culture. There are five museums close by boasting thousands of visitors each year. The famous Alpine Museum is situated in the centre of town and hosts some exceptional collections of print artworks. On just two floors, there is a range of exhibits spanning the geological and human history of Chamonix. For the animal lovers among you, Merlet Animal Park is easily accessible. It is a huge, open area within which animals such as, llamas, deer, ibex and more roam free – a truly unique way to experience the best of local wildlife. To keep the children entertained, there are opportunities for horse riding all year round. Argentière horse riding caters for all abilities, even offering ‘snow’ riding in the winter season. Ice skating, dog sledding, tennis and paintball are just a few of the fantastic activities and experiences widely accessible at the resort. Offering ski slopes ranging from 1252m – 3275m with a wide selection of ski lifts and cable cars to choose from, it is not surprising that investors are eager to explore this stunning landscape. A historical report of Argentière in 2018 shows mountain snow level at 150cm and valley snow level at 10cm. The quality is gripping snow, making it perfect for adventurous alpine sport. Rare failing weather conditions are never a problem here with artificial snow-making available, meaning skiing and snowboarding are guaranteed all year round. For up to date snow and weather reports, take a look at our Argentière (Chamonix) resort guide here. Last year’s bumper snowfall has incited €10 million worth of investment into the resort's infrastructure. This Winter season, Europe's highest cable car, the Compagnie du Mont Blanc will be up and running as well as the Plan Joran 10-person bubble lift. 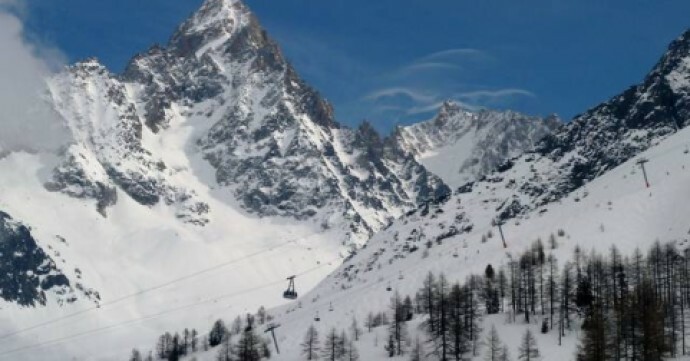 Recent developments so too, account for the phenomenal Plan Joran gondola which can carry 3200 and soars higher than cable cars providing quick and easy ski access - which means no walking! This year will also see the opening of the astounding beginner-friendly zone and new, 6 person chairlifts. With this new stunning infrastructure, you can travel up and down the slows in style and ease. 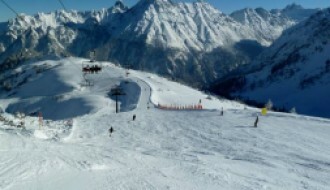 The nearest airport to Argentière, Chamonix is just 1 hour and 2 minutes away. A direct train connection is readily available which travels a scenic route on the St. Gervais-Martigny line through the French Alps. The Medical Center D’Argentière is just 5 minutes away from the resort and the closest Montessori School Du Mont-Blanc is 7 minutes away. Those buying property in this stunning location can enjoy the stunning landscapes, wide-ranging facilities that cater to all and a fantastic array of affordable bars and restaurants for the perfect alpine dining experience.